Interested in learning how to enhance your local business listings? Milestone President and Founder, Benu Aggarwal, will be presenting a webinar about local on SEOmoz this Thursday. 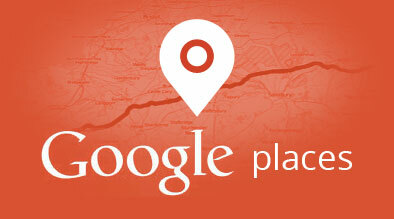 Sign up to learn about Google Places including do’s, don’ts, best practices, and more. When: Thursday, February 9th at 10:30 AM PST. Onpage Optimization – SEO elements and Micro-data – We will share the most important on page SEO factors impacting your Google place listing. This will include list of most important Onpage elements such as title tags, footer, KLM maps, impact of images and several others. Off page optimization – Citations, Listings, Links – Local citations are the 4th strongest local ranking factor. We will discuss tools and tactics to secure most valuable citations, listings, links impacting your google place listings. Things to avoid– There are several things which could get your place listing banned. We will give out a handy list of top 8 things, which could lead your listing to either get banned or avoid getting higher ranking. Rating and Reviews – Google highlights reviews in local results. Quantities of reviews are a key factor in Google Place ranking. Responding to reviews helps in user conversion. We will share how businesses can get more reviews and respond to reviews in timely manner. We will also share how quality of review impact user sentiment and conversion. UGC sites such as yelp, trip advisors has huge impact on your place listings conversion. We will share tips and tactics to optimize/enhance your UGC listings. The audience will walk away with a solid understanding of what it takes to enhance local place listings and how to rank high by securing valuable citations, getting more reviews, and by enhancing onpage SEO elements. Awesome presentation! I thought my knowledge regarding Google Places was pretty good but you really opened my eyes. The best takeaway was cross pollination and how to best leverage each component from Places, Social, Local, etc. My biggest confusion regarding hotel properties is reviews. My understanding is that if a guest leaves a review when signed onto the “free wireless” that is provided by the property, it can penalize the property due to ISP address concerns. However, one of the suggestions you made to encourage reviews from guests is to provide links to review sites like Trip Advisor on the sign-in page of the free wireless provided by the property. Can you expand on this? Should hotel properties encourage guests to leave reviews when signed into the hotel’s free wireless? Nicely done today, Benu. Two follow-on questions: Regarding Yext.com — where exactly is that NAP tool? I cannot find it on the site and am thinking I will need a subscription to use it? And which of the directories on Slide # 20 did you say were the priorities ones, in your opinion. Thanks again for a great webinar. In terms of directories, InfoUSA Localeze and Acxiom are the three directories you should prioritize. In terms of Yext, you do not need a subscription. To see your NAP score, go to the Yext.com homepage. Using the Local Search Scorecard box, fill in your business information and it should show you your score. Excellent webinar today Benu. Valuable information that was well worth the time investment. I hope we’ll see you a future SEOmoz webinar. Thanks for sharing with us. Definitely. Thanks for attending; it was great to be a part of the webinar. Tks a lot for your webinar @benuaggarwal ! As a French seo marketer, i discover Yext.com website, seems interesting for…US people ! Anything service like this exist in France , even in Europe for the time being ( , isn’t ? Thanks a lot, I don’t know any similar services French market, but you can check manually. I’ll let you know if I find something. That was an impressive and very revealing webinar, Benu. Thank you very much. It is flat out awesome to have the slide show next to you while the webinar is still ongoing. Thank you! We are in the lodging business in Orlando Florida. I would like to learn more about your program if applicable. Thanks a lot for attending. Would love to talk to you about your needs. Our contact information is: [email protected] / 408.492.9055. Please email or call us and let us know how we can help you. Hi Benu – Excellent webinar today. In the Q&A you showed a screenshot of Google Places data in Google Analytics. It was shown as “Google / Places”. Would you care to ellaborate on where to find this – or how to set this up? 1. You need to embed Google Analytics tracking code on your web site. 2. 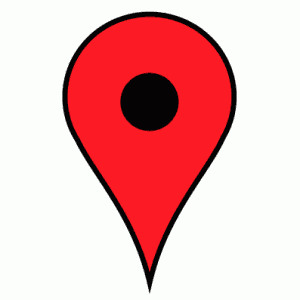 You need to tag your Google Places URL with a tracking parameter. Once these two steps are done, Google Places referrals will show up with the tracking parameter in your Google Analytics account. In your presentation you talked about creating maps and using Google Docs. I was totally confused how to do this. Can you share more information or point to a resource online on how to do this. How can we download your entire book? In the seminar you mentioned that you didn’t think it was a good idea to add a ton of citations in short amount of time. What do you think is a reasonable number of citations to add per week to stay off of Google’s radar? Where can I find this PPT? I have a client that had created multiple places accounts so I claimed them all and suspended them. I originally deleted the listings but they showed up again and I was forced to claim them all over again. In your webinar you suggested that we delete these listings. Have you had this problem before? I am worried that if I delete them, they will show up again and I will have to claim them again. Please, try to find the webinar about local search you give us on seomoz pro webinar, but don’t succeed to find it either on your website or on seomoz one (pro access).